Andy Venables was looking to change the way milk was marketed and promote British dairy. 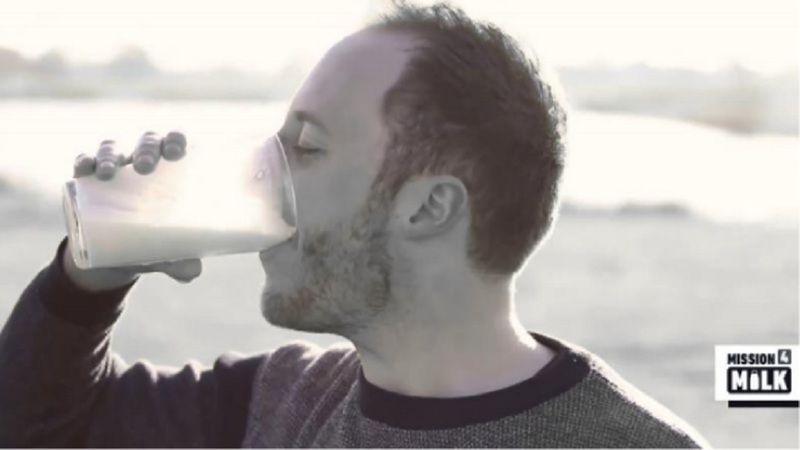 A Cheshire dairy farmer has launched a Mission 4 Milk to help the British public rediscover the various health benefits of cow’s milk. Andy Venables believes the way milk products are marketed to the public, in particularly to young adults, was playing a big part in its popularity. “Milk packaging and branding has changed very little over the past twenty years; meanwhile new brands releasing plant-based alternatives, such as soy and almond, clearly display the nutritional benefits of their products on their cartons, along with attractive branding,” he said. He added ‘free-from’ movements and intolerances which dominate the younger generations had pushed people towards alternatives ‘and not always for the right reasons’. “While some people undoubtedly suffer from dairy and lactose-related complications, a large number of those who have given up dairy have done so as a result of self-diagnosis or because it is trendy to do so. Physiotherapist and managing director of Chews Health Jack Chew has expressed concerns over people switching to a vegan diet without replenishing the nutrients from other sources after seeing people suffering from stress fractures which appeared to be directly linked to veganism. “Stress fractures occur as a result of a person’s bones being unable to tolerate the cumulative loads placed on them,” he said. He said he was deeply concerned with people opting for a vegan diet without properly researching but making any drastic change to your diet was rarely without consequence. “On average, individuals who have a vegan diet have lower bone density than their non-vegan counterparts, that is a fact many people are unaware of. He added active individuals who lacked meat and dairy in their diets often had slower recovery from injury with women especially at risk from decreased bone density due to hormonal factors influencing iron and calcium uptake. “We see young females who develop RED-S (Reduced Energy Deficiency in Sport) and those who develop Osteoporosis as they reach menopausal age. “These conditions are not exclusive to vegans of course, but the trend towards non-dairy diets and the suggestion to many that they will guarantee weight loss without consequences is an ugly one.